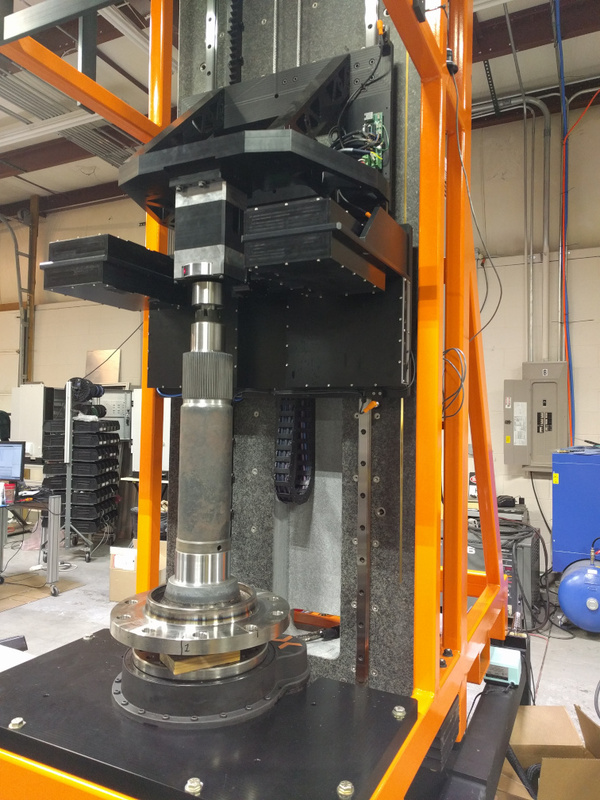 Autonetics’ latest system for advanced non-contact metrology is here. 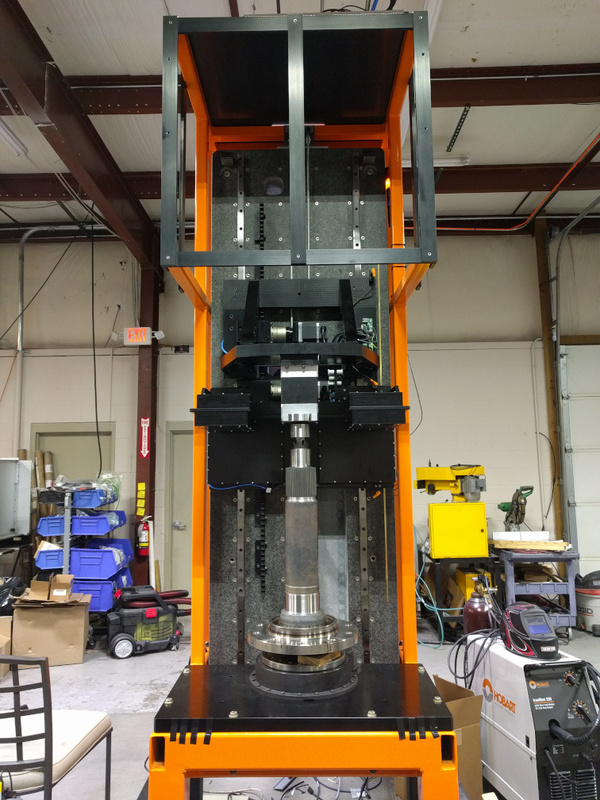 The Vertical Gauging Unit, or VGU, is part of Autonetics’ commitment to providing top-of-the-line gauging systems for accurate and repeatable factory floor gauging, in a new and flexible layout, to allow for ultimate adaptability to any heavy duty machine tool or component. In addition to standard functionalities like sub-micron accuracy on diameter measurements across the full measurement range, the VGU is measures thread dimensions on ISO standard M60 threads, with a special capability to measure a proprietary spline profile around the circumference of the part in several locations. 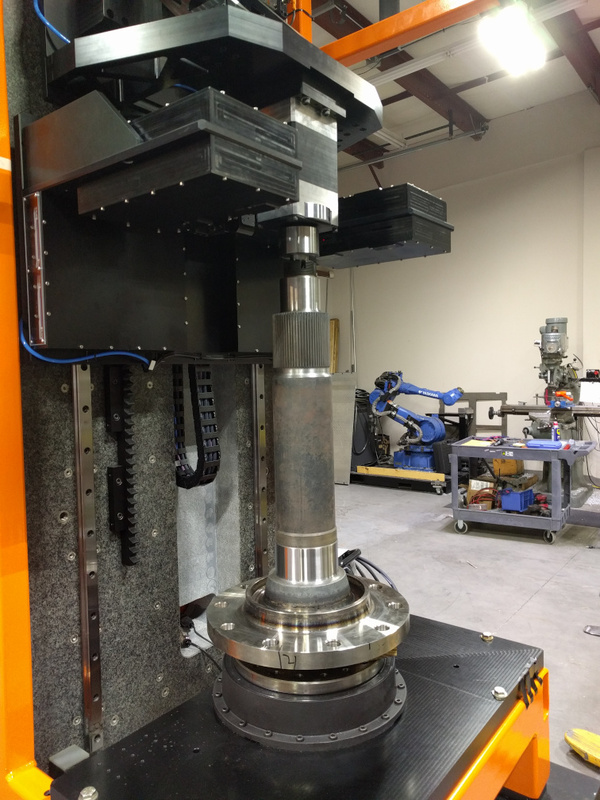 This Vertical Gauging Unit was custom tailored for General Grind & Machine’s specification of a variety of parts, ranging from 570mm to 1100mm in length, with diameter measurement range from 58mm to 178mm. Autonetics’ VGU can interface with an automated robotic load/unload system, allowing for easy integration into any facility or process. Like all Autonetics’ systems, a measurement output interface can be integrated, ranging from simple CSV files to full integration with your own specific Traceability, Quality, or even MRP or ERP systems. 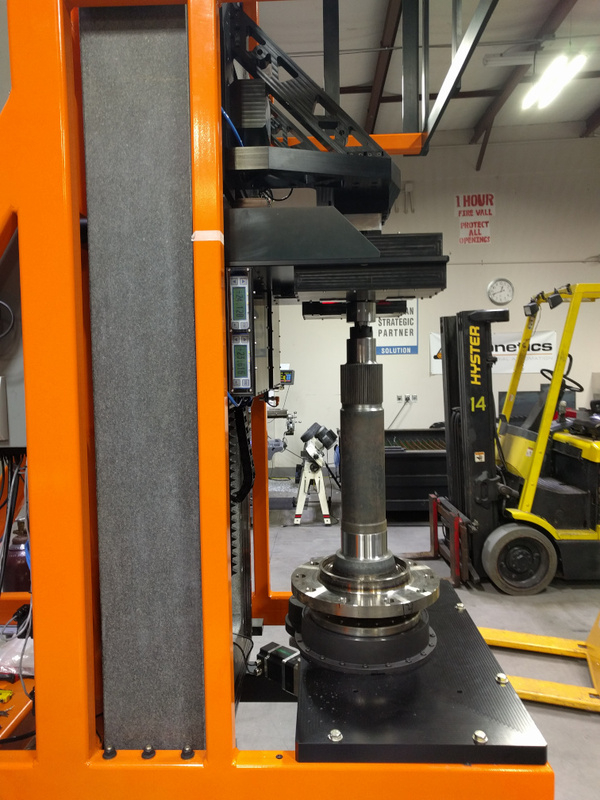 In addition to the advanced accuracy and repeatability requirements of today’s metrology systems, Autonetics offers our machines always with a focus on not just providing a solution for today’s parts, but providing a solution easily adaptable to tomorrow’s needs as well. When the time comes to add new parts, Autonetics will work with you to easily and simply program your new part specifications to the VGU. If new capabilities are what you need, Autonetics will collaborate with you to understand your specific requirement and design the best solution for you – with adaptable systems, this means that often what you need can be implemented simply, and reliably.